When we were hosting the 2nd Annual Persian Golden Lioness Awards® in <?xml:namespace prefix = st1 ns = "urn:schemas-microsoft-com:office:smarttags" />Budapest in October 2006 we were all eager to meet with the Award Winner Bruce Bahmani, the real hero who turned Rostam of Shahnameh into a Comic Book. Our very first meeting with him was during the briefing session in the Arto’tel Conference room where all the awardees were briefed on the actual event of the following day. During the session and initial meeting we found Mr. Bahmani as a focused and goal oriented person. 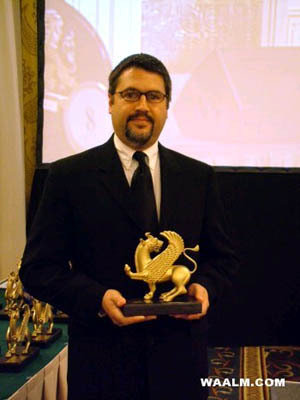 Dr. Dorbayani, the founder of WAALM – Persian Golden Lioness Awards® and President of IFSI® Institute describes him as “a man with principle”. Bruce Bahmani is a freelance writer and a marketing consultant who lives, writes, and works in the San Francisco Bay Area in US. Bruce was born in Texas in 1961 while his parents (Father a Persian Ghashghai, Mother German) were in University. At age 3, Bruce came to Persia with his parents and lived there until the revolution in 1979. While in Persia, Bruce attended bi-lingual schools (Parthian and Iranzamin), and it was in Persia that Bruce became simultaneously exposed to American comic books and the “Shahnameh”. 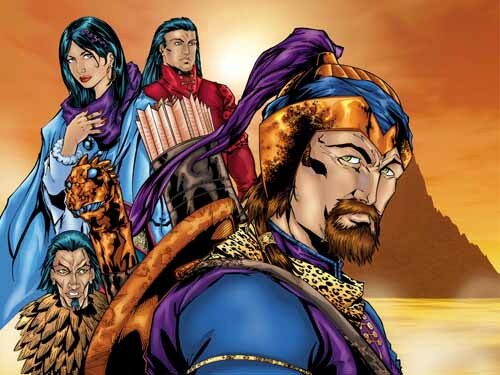 It was in 2000 when the blending of the two became apparent and the idea to turn the Shahnameh and the tales of “Rostam” into an American comic book was formed. Bruce is an active Persian community volunteer in the Bay Area focusing on promoting and exposing the Persian tradition and culture to non-Persians. “Obviously I want to thank the Academy and Prof. Dorbayani for essentially being a hero in this world today. We don’t have many heroes. Our comic book was trying to show one of the heroes in the folklore, but it’s nice to see that we still have heroes amongst us. When I was informed that we had won this award and would be coming to Hungary to accept it, I was very happy. I had never been to Hungary and I wanted to come here. I had never been to either Buda or Pest before, and today we were given a short tour of this wonderful city. What made it especially memorable, I think, was seeing all the Hungarian flags flying in the balconies, in the parks and in the squares of this wonderful country. As you know, the colours of the flag of Hungary and Iran are the same colours. So, in a way I felt very at home here because it felt like I was seeing my country’s flag flying everywhere I went. So, I made a very good connection I think to Hungary today and through this award.